View Lodge is the place to be if you want to experience a 180 degree view of the biggest dam in South Africa. Positioned in such a way View Lodge accommodation offers you a view with the sunrise directly over the water. Halfway between Jhb. and CT in Gariep Dam area you will find View Lodge on the mountain overlooking Gariep Dam water mass. Fresh air and bright stars with a lot of nature reserves in the area. 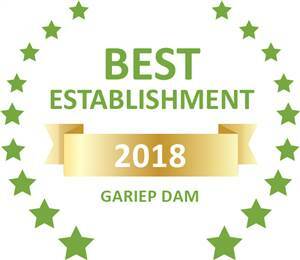 Gariep Dam is also near Colesberg / Bethulie and 180km south on the N1 from Bloemfontein. We offer Self catering units with the option to order meals. You can sit at the bar, enjoy our swimming pool, relax by gazing over the water or sit on your balcony. It is time to spoil yourself. The Gariep Dam area offers the adventurous soul lots to do! Go on an exciting boat cruise, visit a popular nature reserves, take a Gariep Dam wall tour or just hike to the dam wall and back to experience the unique beauty of this area.